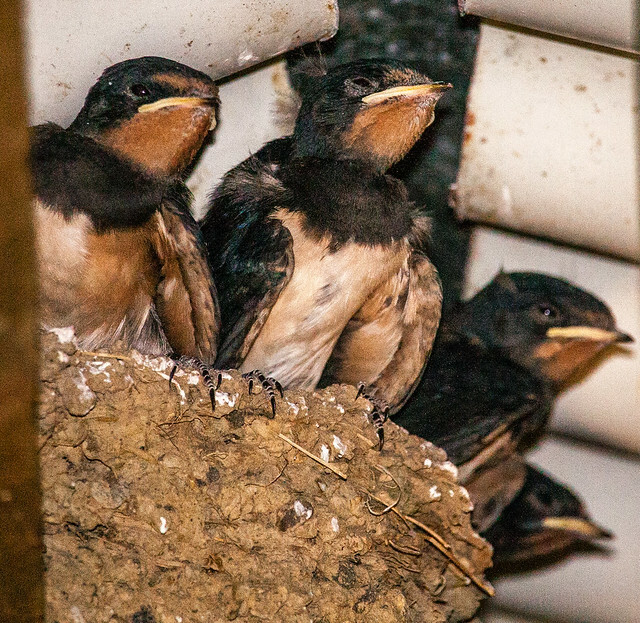 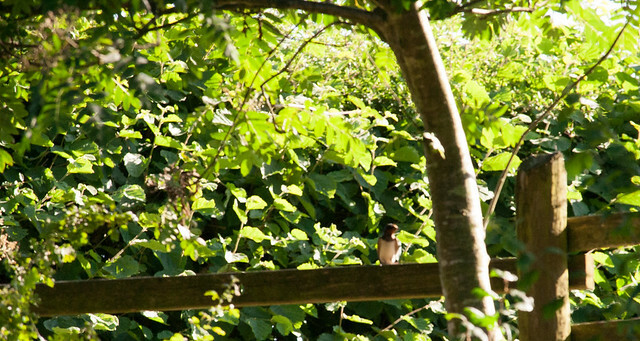 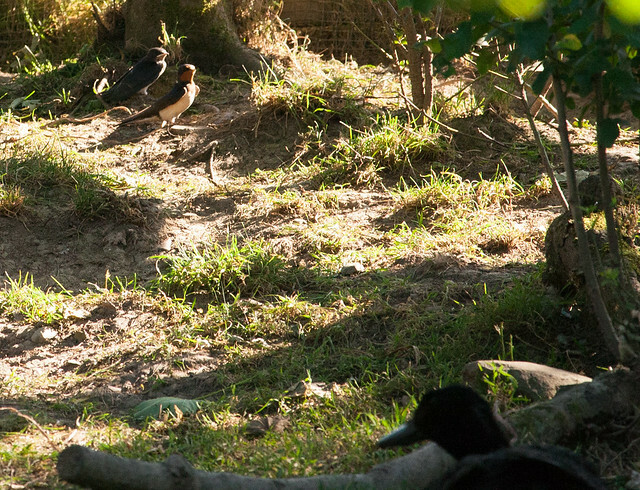 We have mentioned the swallow brood from time to time but now that they are (almost) done it seems time for a résumé. 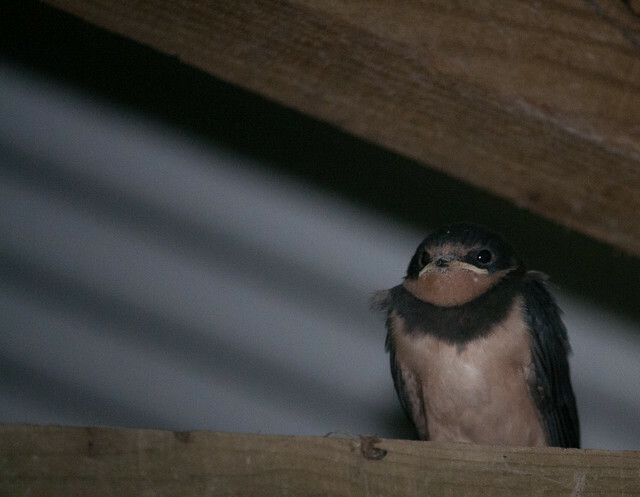 Like all migrants this year, the Swallows seemed to arrive late and, from local reports, in smaller numbers than in recent years. 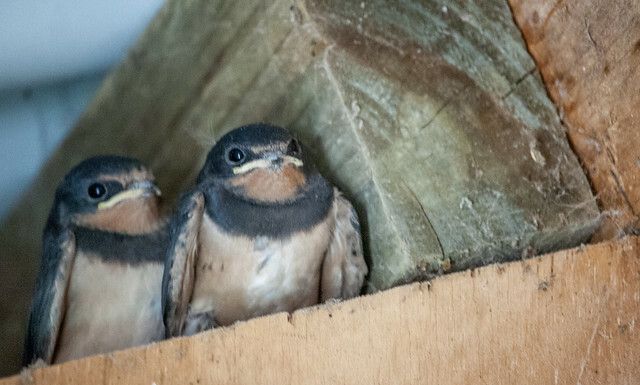 Sometimes we have had two pairs, for the last couple of years just one. 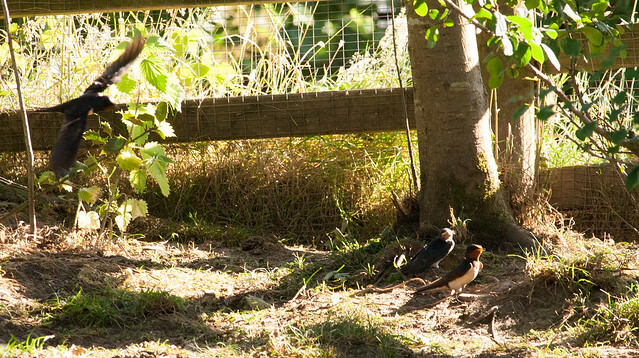 The suitable nesting sites round here are spaced out by hundreds of metres. 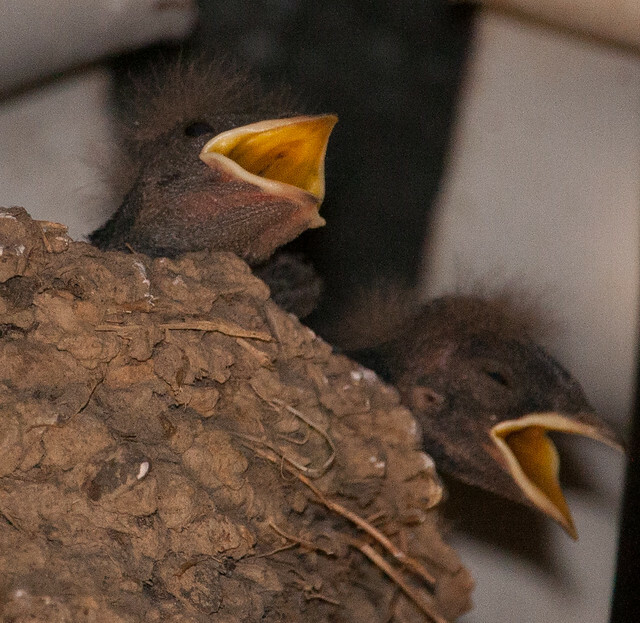 Do the same ones come to us… or their offspring? 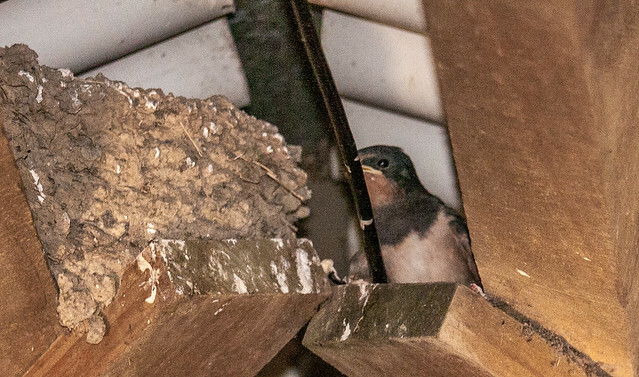 When the Flycatchers arrive they seem to start building a nest the same day but the swallows spend weeks fussing around before they get down to business. 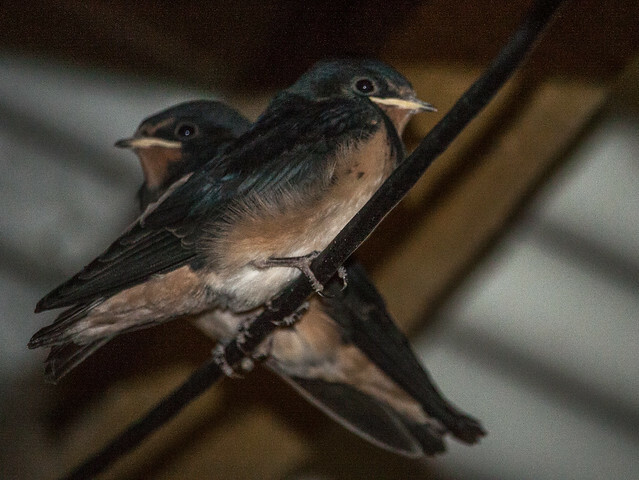 When they did, they ignored the specially designed swallow nesting cup we have had in place in the woodshed and chose a place in the rafters near by.